Start by filling in the box below to get into our system from the privacy of your own home. 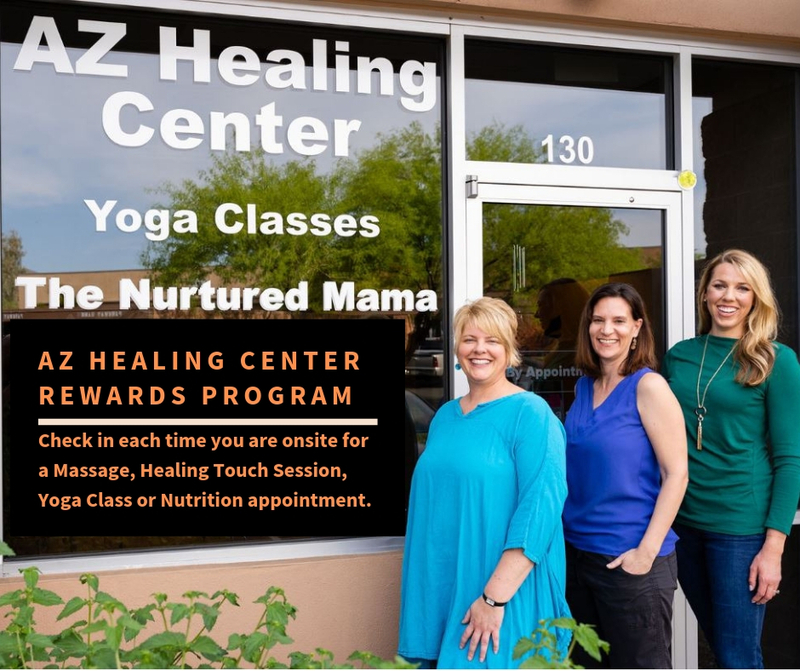 Every time you come to AZ Healing Center (a yoga class, have a Massage, a Healing Touch session or even a Nutrition session) check in onsite at the Kiosk at the front desk to get entered into earning rewards. Check in 7 times and earn your first reward! Woot Woot! Rewards change and additional specials will come up throughout the year. Stay informed about what AZ Healing Center and Yoga Studio has to offer you!